Principles of Finance Featured: Boundless: Finance: "Chapter 3, Section 8: The DuPont Equation, ROE, ROA, and Growth"
Boundless: Finance: "Chapter 3, Section 8: The DuPont Equation, ROE, ROA, and Growth"
The DuPont equation is an expression which breaks return on equity down into three parts: profit margin, asset turnover, and leverage. By splitting ROE into three parts, companies can more easily understand changes in their returns on equity over time. As profit margin increases, every sale will bring more money to a company's bottom line, resulting in a higher overall return on equity. As asset turnover increases, a company will generate more sales per asset owned, resulting in a higher overall return on equity. Increased financial leverage will also lead to an increase in return on equity, since using more debt financing brings on higher interest payments, which are tax deductible. A company has sales of 1,000,000. It has a net income of 400,000. Total assets have a value of 5,000,000, and shareholder equity has a value of 10,000,000. Using DuPont analysis, what is the company's return on equity? Profit Margin = 400,000/1,000,000 = 40%. Asset Turnover = 1,000,000/5,000,000 = 20%. Financial Leverage = 5,000,000/10,000,000 = 50%. Multiplying these three results, we find that the Return on Equity = 4%. A flow chart representation of the DuPont Model. The DuPont equation is an expression which breaks return on equity down into three parts. The name comes from the DuPont Corporation, which created and implemented this formula into their business operations in the 1920s. This formula is known by many other names, including DuPont analysis, DuPont identity, the DuPont model, the DuPont method, or the strategic profit model. In the DuPont equation, ROE is equal to profit margin multiplied by asset turnover multiplied by financial leverage. Under DuPont analysis, return on equity is equal to the profit margin multiplied by asset turnover multiplied by financial leverage. By splitting ROE (return on equity) into three parts, companies can more easily understand changes in their ROE over time. Profit margin is a measure of profitability. It is an indicator of a company's pricing strategies and how well the company controls costs. Profit margin is calculated by finding the net profit as a percentage of the total revenue. As one feature of the DuPont equation, if the profit margin of a company increases, every sale will bring more money to a company's bottom line, resulting in a higher overall return on equity. Asset turnover is a financial ratio that measures how efficiently a company uses its assets to generate sales revenue or sales income for the company. Companies with low profit margins tend to have high asset turnover, while those with high profit margins tend to have low asset turnover. Similar to profit margin, if asset turnover increases, a company will generate more sales per asset owned, once again resulting in a higher overall return on equity. Financial leverage refers to the amount of debt that a company utilizes to finance its operations, as compared with the amount of equity that the company utilizes. As was the case with asset turnover and profit margin, Increased financial leverage will also lead to an increase in return on equity. This is because the increased use of debt as financing will cause a company to have higher interest payments, which are tax deductible. Because dividend payments are not tax deductible, maintaining a high proportion of debt in a company's capital structure leads to a higher return on equity. The DuPont equation is less useful for some industries, that do not use certain concepts or for which the concepts are less meaningful. On the other hand, some industries may rely on a single factor of the DuPont equation more than others. Thus, the equation allows analysts to determine which of the factors is dominant in relation to a company's return on equity. For example, certain types of high turnover industries, such as retail stores, may have very low profit margins on sales and relatively low financial leverage. In industries such as these, the measure of asset turnover is much more important. High margin industries, on the other hand, such as fashion, may derive a substantial portion of their competitive advantage from selling at a higher margin. For high end fashion and other luxury brands, increasing sales without sacrificing margin may be critical. Finally, some industries, such as those in the financial sector, chiefly rely on high leverage to generate an acceptable return on equity. While a high level of leverage could be seen as too risky from some perspectives, DuPont analysis enables third parties to compare that leverage with other financial elements that can determine a company's return on equity. Return on equity measures the rate of return on the ownership interest of a business and is irrelevant if earnings are not reinvested or distributed. Return on equity is an indication of how well a company uses investment funds to generate earnings growth. Returns on equity between 15% and 20% are generally considered to be acceptable. Return on equity is equal to net income (after preferred stock dividends but before common stock dividends) divided by total shareholder equity (excluding preferred shares). Stock prices are most strongly determined by earnings per share (EPS) as opposed to return on equity. An analysis of a business with the goal of financial projections in terms of income statement, financial statements and health, management and competitive advantages, and competitors and markets. Return on equity (ROE) measures the rate of return on the ownership interest or shareholders' equity of the common stock owners. It is a measure of a company's efficiency at generating profits using the shareholders' stake of equity in the business. In other words, return on equity is an indication of how well a company uses investment funds to generate earnings growth. It is also commonly used as a target for executive compensation, since ratios such as ROE tend to give management an incentive to perform better. Returns on equity between 15% and 20% are generally considered to be acceptable. Return on equity is equal to net income, after preferred stock dividends but before common stock dividends, divided by total shareholder equity and excluding preferred shares. ROE is equal to after-tax net income divided by total shareholder equity. Expressed as a percentage, return on equity is best used to compare companies in the same industry. The decomposition of return on equity into its various factors presents various ratios useful to companies in fundamental analysis. This is an expression of return on equity decomposed into its various factors. The practice of decomposing return on equity is sometimes referred to as the "DuPont System. " Just because a high return on equity is calculated does not mean that a company will see immediate benefits. Stock prices are most strongly determined by earnings per share (EPS) as opposed to return on equity. Earnings per share is the amount of earnings per each outstanding share of a company's stock. EPS is equal to profit divided by the weighted average of common shares. EPS is equal to profit divided by the weighted average of common shares. The true benefit of a high return on equity comes from a company's earnings being reinvested into the business or distributed as a dividend. In fact, return on equity is presumably irrelevant if earnings are not reinvested or distributed. Sustainable-- as opposed to internal-- growth gives a company a better idea of its growth rate while keeping in line with financial policy. The internal growth rate is a formula for calculating the maximum growth rate a firm can achieve without resorting to external financing. Sustainable growth is defined as the annual percentage of increase in sales that is consistent with a defined financial policy. Another measure of growth, the optimal growth rate, assesses sustainable growth from a total shareholder return creation and profitability perspective, independent of a given financial strategy. The true benefit of a high return on equity arises when retained earnings are reinvested into the company's operations. Such reinvestment should, in turn, lead to a high rate of growth for the company. The internal growth rate is a formula for calculating maximum growth rate that a firm can achieve without resorting to external financing. It's essentially the growth that a firm can supply by reinvesting its earnings. This can be described as (retained earnings)/(total assets), or conceptually as the total amount of internal capital available compared to the current size of the organization. We find the internal growth rate by dividing net income by the amount of total assets (or finding return on assets) and subtracting the rate of earnings retention. However, growth is not necessarily favorable. Expansion may strain managers' capacity to monitor and handle the company's operations. Therefore, a more commonly used measure is the sustainable growth rate. Sustainable growth is defined as the annual percentage of increase in sales that is consistent with a defined financial policy, such as target debt to equity ratio, target dividend payout ratio, target profit margin, or target ratio of total assets to net sales. We find the sustainable growth rate by dividing net income by shareholder equity (or finding return on equity) and subtracting the rate of earnings retention. While the internal growth rate assumes no financing, the sustainable growth rate assumes you will make some use of outside financing that will be consistent with whatever financial policy being followed. In fact, in order to achieve a higher growth rate, the company would have to invest more equity capital, increase its financial leverage, or increase the target profit margin. Another measure of growth, the optimal growth rate, assesses sustainable growth from a total shareholder return creation and profitability perspective, independent of a given financial strategy. The concept of optimal growth rate was originally studied by Martin Handschuh, Hannes Lösch, and Björn Heyden. Their study was based on assessments on the performance of more than 3,500 stock-listed companies with an initial revenue of greater than 250 million Euro globally, across industries, over a period of 12 years from 1997 to 2009. ROA, ROS and ROE tend to rise with revenue growth to a certain extent. Substantial growth may be a driver for additional profitability, whether by attracting high performing young professionals, providing motivation for current employees, attracting better business partners, or simply leading to more self-confidence. However, according to the study, growth rates beyond the "profitability maximum" rate could bring about circumstances that reduce overall profitability because of the efforts necessary to handle additional growth (i.e., integrating new staff, controlling quality, etc). The dividend payout and retention ratios offer insight into how much of a firm's profit is distributed to shareholders versus retained. Dividends are usually paid in the form of cash, store credits, or shares in the company. Cash dividends are a form of investment income and are usually taxable to the recipient in the year that they are paid. Dividend payout ratio is the fraction of net income a firm pays to its stockholders in dividends. Retained earnings can be expressed in the retention ratio. To issue a higher number of new shares to replace old shares. This effectively increases the number of shares outstanding without changing the market capitalization of the company. Dividends are payments made by a corporation to its shareholder members. It is the portion of corporate profits paid out to stockholders. On the other hand, retained earnings refers to the portion of net income which is retained by the corporation rather than distributed to its owners as dividends. Similarly, if the corporation takes a loss, then that loss is retained and called variously retained losses, accumulated losses or accumulated deficit. Retained earnings and losses are cumulative from year to year with losses offsetting earnings. Many corporations retain a portion of their earnings and pay the remainder as a dividend. A dividend is allocated as a fixed amount per share. Therefore, a shareholder receives a dividend in proportion to their shareholding. Retained earnings are shown in the shareholder equity section in the company's balance sheet–the same as its issued share capital. Public companies usually pay dividends on a fixed schedule, but may declare a dividend at any time, sometimes called a "special dividend" to distinguish it from the fixed schedule dividends. Dividends are usually paid in the form of cash, store credits (common among retail consumers' cooperatives), or shares in the company (either newly created shares or existing shares bought in the market). Further, many public companies offer dividend reinvestment plans, which automatically use the cash dividend to purchase additional shares for the shareholder. Cash dividends (most common) are those paid out in currency, usually via electronic funds transfer or a printed paper check. Such dividends are a form of investment income and are usually taxable to the recipient in the year they are paid. This is the most common method of sharing corporate profits with the shareholders of the company. For each share owned, a declared amount of money is distributed. Thus, if a person owns 100 shares and the cash dividend is $0.50 per share, the holder of the stock will be paid $50. Dividends paid are not classified as an expense but rather a deduction of retained earnings. 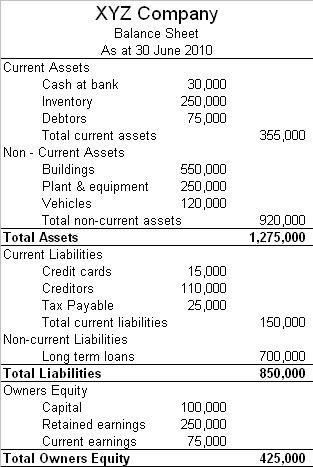 Dividends paid do not show up on an income statement but do appear on the balance sheet. Retained earnings can be found on the balance sheet, under the owners' (or shareholders') equity section. Stock dividends are those paid out in the form of additional stock shares of the issuing corporation or another corporation (such as its subsidiary corporation). They are usually issued in proportion to shares owned (for example, for every 100 shares of stock owned, a 5% stock dividend will yield five extra shares). If the payment involves the issue of new shares, it is similar to a stock split in that it increases the total number of shares while lowering the price of each share without changing the market capitalization, or total value, of the shares held. The part of the earnings not paid to investors is left for investment to provide for future earnings growth. These retained earnings can be expressed in the retention ratio. Retention ratio can be found by subtracting the dividend payout ratio from one, or by dividing retained earnings by net income. The dividend payout ratio is equal to dividend payments divided by net income for the same period. Return on assets is a component of return on equity, both of which can be used to calculate a company's rate of growth. Return on equity measures the rate of return on the shareholders' equity of common stockholders. Return on assets shows how profitable a company's assets are in generating revenue. In other words, return on assets makes up two-thirds of the DuPont equation measuring return on equity. Capital intensity is the term for the amount of fixed or real capital present in relation to other factors of production. Rising capital intensity pushes up the productivity of labor. With respect to quantity rather than quality. In review, return on equity measures the rate of return on the ownership interest(shareholders' equity) of common stockholders. Therefore, it shows how well a company uses investment funds to generate earnings growth. Return on assets shows how profitable a company's assets are in generating revenue. Return on assets is equal to net income divided by total assets. Return on assets is equal to net income divided by total assets. This percentage shows what the company can do with what it has (i.e., how many dollars of earnings they derive from each dollar of assets they control). This is in contrast to return on equity, which measures a firm's efficiency at generating profits from every unit of shareholders' equity. Return on assets is, however, a vital component of return on equity, being an indicator of how profitable a company is before leverage is considered. In other words, return on assets makes up two-thirds of the DuPont equation measuring return on equity. In terms of growth rates, we use the value known as return on assets to determine a company's internal growth rate. This is the maximum growth rate a firm can achieve without resorting to external financing. We use the value for return on equity, however, in determining a company's sustainable growth rate, which is the maximum growth rate a firm can achieve without issuing new equity or changing its debt-to-equity ratio. The use of tools and machinery makes labor more effective, so rising capital intensity pushes up the productivity of labor. While companies that require large initial investments will generally have lower return on assets, it is possible that increased productivity will provide a higher growth rate for the company. Capital intensity can be stated quantitatively as the ratio of the total money value of capital equipment to the total potential output. However, when we adjust capital intensity for real market situations, such as the discounting of future cash flows, we find that it is not independent of the distribution of income. In other words, changes in the retention or dividend payout ratios can lead to changes in measured capital intensity. ◄ Boundless: Finance: "Chapter 3, Section 7: Market Value Ratios"